Azamara Club Cruises has unveiled its 2018 itineraries, with 30 maiden port calls, a world cruise, and a series of sailings to coincide with global events. 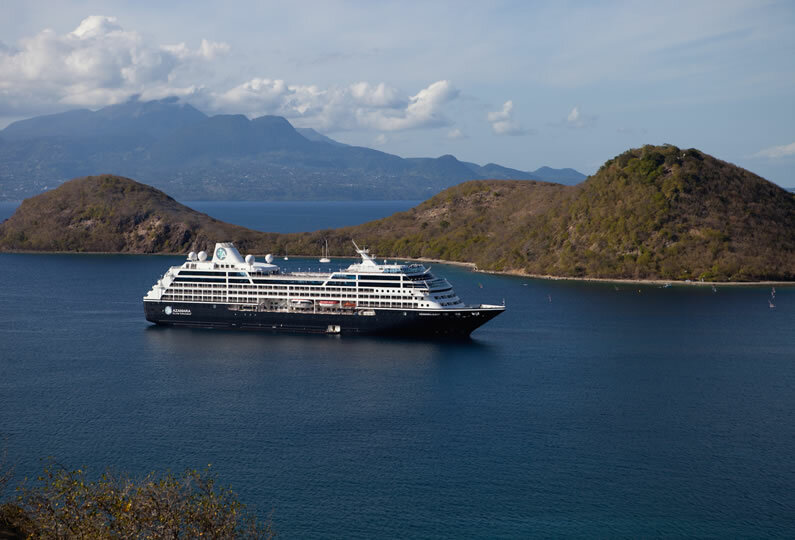 Azamara will offer 69 voyages to 228 ports in 64 countries. The line will return to Australia and New Zealand as well as exotic, smaller ports that the larger ships cannot access. Maiden ports of call include Gdansk, Poland; Dundee, Scotland; Klaipeda, Lithuania; Hambantota, Sri Lanka; Geraldton, Australia; and Perth (Fremantle), Australia. The company has also announced a 102 day World Journey that will visit 61 ports in 29 countries. The world cruise will depart Sydney, Australia, on 8 April, and arrive in London on 17 June 2018. Azamara has also planned voyages around several high profile global events. Golf enthusiasts can visit the British Open in July during a sailing from Southampton to Edinburgh. Three other golfing themed voyages will also take place. Golf at Kauri Cliffs and Cape Kidnappers on a 13-day sailing from Auckland to Sydney departing on 22 February. Golf at Vilamoura and Valderram on a nine-day Barcelona to Lisbon sailing departing 29 May, or golf at Restonian Golf & Country Club and Bro Hoff Slott on an 11-day Copenhagen to Stockholm voyage departing on 9 August. Speed demons will look forward to the Monaco Grand Prix and the Classic Grand Prix which is held every other year. Azamara Journey will sail an eight-day voyage from Rome to Barcelona departing on 29 May which includes two days in Cannes at the Cannes Film Festival and two days in Monte Carlo, including race day. Azamara Quest will also sail on a four-day round-trip voyage from Nice focused around the race. Both Azamara Quest and Azamara Journey will undergo major renovations early next year as part of the line’s ‘Reimagine Azamara’ programme. Azamara Journey will be first to receive the new look in January 2016 with Azamara Quest following in April 2016.